1. S. Li, W. Zhang and L. Zhao, “Connections between Mean-Field Game and Social Welfare Optimization”, under review, 2017. 2. 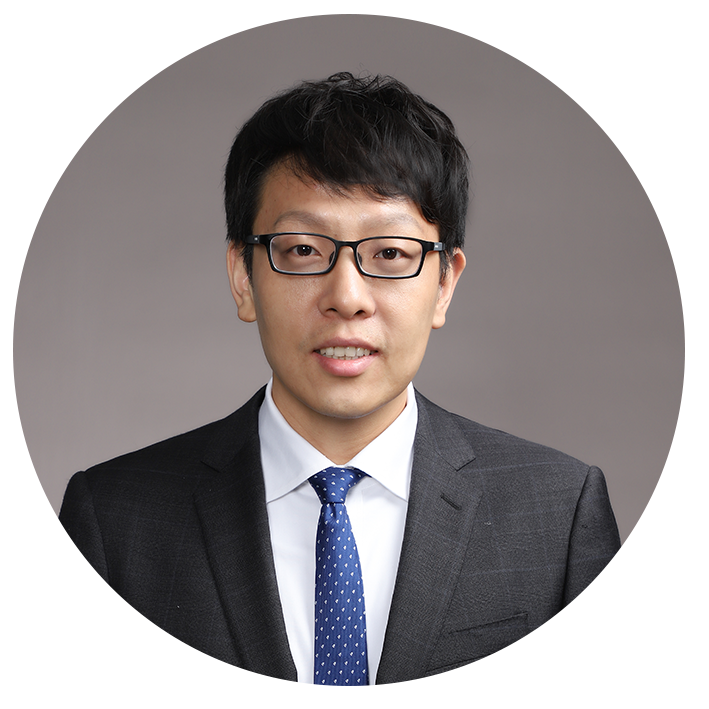 J. Liu, W. Zhang and G. Rizzoni, “Robust Stability Analysis of DC Microgrids with Constant Power Loads”, to appear in IEEE Transactions on Power Systems, 2017. 3. L. Zhao, W. Zhang, H. Hao and K. Kalsi, “A Geometric Approach to Aggregate Flexibility Modeling of Thermostatically Controlled Loads”, to appear in IEEE Transactions on Power Systems, 2017. 4. J. Liu, H. Chen, W. Zhang, B. Yurkovich and G. Rizzoni, “Energy Management Problems Under Uncertainties for Grid-Connected Microgrids: a Chance Constrained Programming Approach”, to appear in IEEE Transactions on Smart Grid, 2017. 5. H. Chen and W. Zhang, “On Weak Topology for Optimal Control of Switched Nonlinear Systems”, Automatica, vol. 81, pp. 409-415, July 2017. 6. Y. Lu and W. Zhang, “A Piecewise Smooth Control-Lyapunov Function Framework for Switching Stabilization”, Automatica, vol. 76, pp. 258-265, February 2017. 7. H. Chen, K. Kalyanam, W. Zhang and D. Casbeer, “Intruder Isolation on a General Road Network under Delayed Information”, IEEE Transactions on Control Systems Technology, vol. 25, no. 1, pp. 222 - 234, January 2017. 8. L. Zhao and W. Zhang, “A Unified Stochastic Hybrid System Approach to Aggregated Load Modeling for Demand Response”, under review, 2016. 9. Z. Zhou, W. Zhang, J. Ding, H. Huang, D. M. Stipanovic and C. J. Tomlin, “Cooperative Pursuit with Voronoi Partitions”, Automatica, vol. 72, pp. 64 - 72, October 2016. 10. L. Herrera, W. Zhang and J. Wang, “Stability Analysis and Controller Design of DC Microgrids with Constant Power Loads”, IEEE Transactions on Smart Grid, vol. 8, no. 2, pp. 881 - 888, March 2017. 11. Y. Lu and W. Zhang, “On Switching Stabilizability for Continuous-Time Switched Linear Systems”, IEEE Transactions on Automatic Control, vol. 61, no. 11, pp. 3515 - 3520, November 2016. 12. C.-Y. Chang and W. Zhang, “Distributed Control of Inverter-Based Lossy Microgrids for Power Sharing and Frequency Regulation Under Voltage Constraints”, Automatica, vol. 66, pp. 85-95, April 2016. 13. S. Li, W. Zhang, J. Lian and K. Kalsi, “Market-Based Coordination of Thermostatically Controlled Loads--Part II: Unknown Parameters and Case Studies”, IEEE Transactions on Power Systems, vol. 31, no. 2, pp. 1179 - 1187, March 2016. 14. S. Li, W. Zhang, J. Lian and K. Kalsi, “Market-Based Coordination of Thermostatically Controlled Loads--Part I: A Mechanism Design Formulation”, IEEE Transactions on Power Systems, vol. 31, no. 2, pp. 1170 - 1178, March 2016. 15. M. Brocanelli, S. Li, X. Wang and W. Zhang, “Maximizing the Revenues of Data Centers in Regulation Market by Coordinating with Electric Vehicles”, Sustainable Computing: Informatics and Systems, vol. 6, pp. 26-38, June 2015. 16. H. Huang, J. Ding, W. Zhang and C. J. Tomlin, “Automation-Assisted Capture-the-Flag: A Differential Game Approach”, IEEE Transactions on Control Systems Technology, vol. 23, no. 3, pp. 1014 - 1028, May 2015. 17. S. Li, M. Brocanelli, W. Zhang and X. Wang, “Integrated Power Management of Data Centers and Electric Vehicles for Energy and Regulation Market Participation”, IEEE Transactions on Smart Grid, vol. 5, no. 5, pp. 2283 - 2294, September 2014. 18. L. Zhao, W. Zhang, J. Hu, A. Abate and C. J. Tomlin, “On the Optimal Solutions of the Infinite-Horizon Linear Sensor Scheduling Problem”, IEEE Transactions on Automatic Control, vol. 59, no. 10, pp. 2825 - 2830, Oct. 2014. 2014. 19. W. Zhang, J. Lian, C.-Y. Chang and K. Kalsi, “Aggregated Modeling and Control of Air Conditioning Loads for Demand Response”, IEEE Transactions on Power Systems, vol. 28, no. 4, pp. 4655 - 4664, Nov. 2013.